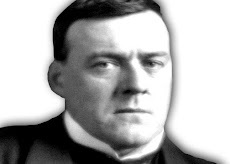 The ChesterBelloc Mandate: Servire Deo Regnare Est! Tomorrow we embark on a new adventure. As most of you are aware, Thomas Storck will represent The Society for Distributism at the Nassau Community College Center for Catholic Studies’ “Catholicism and Economics” conference/debate, in Garden City, New York. John Médaille, Ryan Grant, Jeremiah Bannister, Bill Powell, and myself will be present at the debate and we hope to see many of you there. Please make sure to stop by our table after the event and introduce yourselves. We look forward to meeting with you. We will of course miss our colleagues Tom Laney, Donald Goodman, and Dr. Race Matthews. A toast will be made in their honor tonight as we gather together. This conference will be historic in many ways. This fact doesn’t escape us. 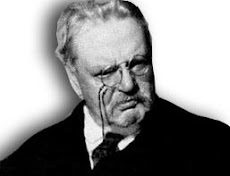 No doubt we will humbly attempt to do justice to the legacies of such men as G.K. Chesterton, Hilaire Belloc, and Fr. Vincent McNabb. After all, these men paved the way for all of us. Today we stand (almost a year since we were initially asked to participate in this event) in the midst of a global economic crisis. People around the world are asking questions. They have come to realize our officials and bankers cannot answer them and the citizens of this world are now listening to alternatives. 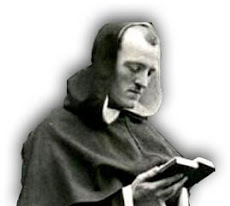 We believe the answers to those questions are found in Distributism. For this reason I am asking all of you to pray for us. We wish to walk into this conference on our knees and leave it on our feet. Many of our readers and members have sent us emails regarding the taping of this event, and whether this will become available. We are hopeful this will happen. If and when such a recording does become available we will definitely inform all of you immediately. Walk-ins are welcome tomorrow. However upon arrival please make your way to the registrant’s table and inform them that you require a parking pass for your vehicle, if you are driving in. Otherwise, you may receive a ticket. For those of you who cannot attend, please consider joining our mailing list. Please provide us with the city-state information as well. This will help us evaluate where events may be held in the future. God bless you all and may this conference be one step towards restoring our sanity and our property.